The Ami Iyök anti-acne roll-on is formulated to balance, soothe and regenerate the skin and, above all, to prevent acne and to unify the skin tone. It acts at all the stages of acne formation without disturbing the skin's natural balance and preventing future outbreaks. Manuka, on account of its high polysaccharide content, creates an environment in which the bacteria cannot survive, thereby achieving implacable antibacterial power, as well as possessing anti-inflammatory and anti-fungal properties. All this combined with Tea Tree Oil and Willow create a natural anti-acne complex, an effective skin regenerator, and an oxygenator of cells with antiseptic and antibacterial effects. 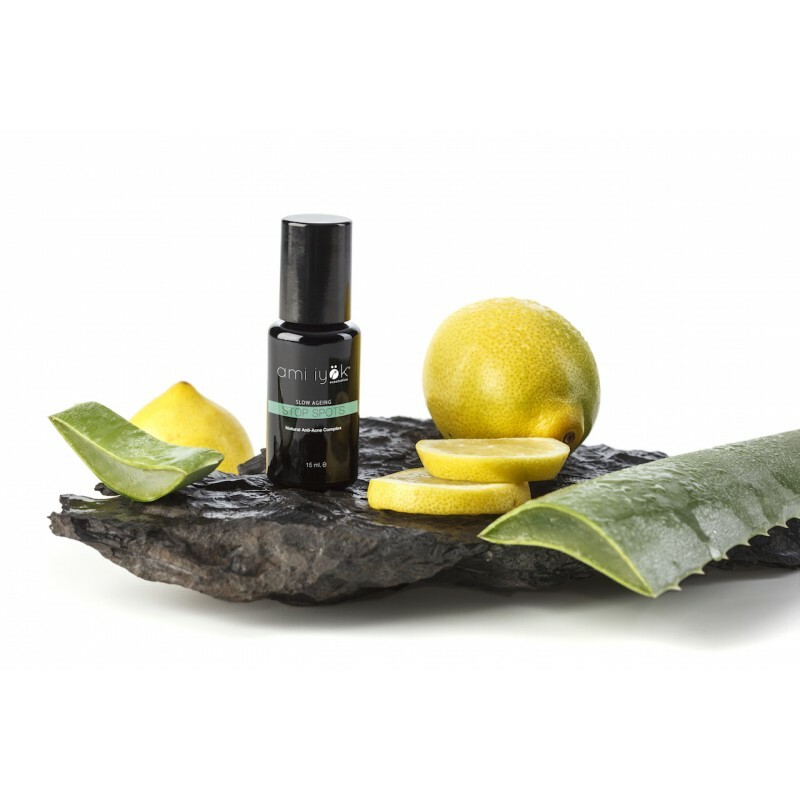 Lemon and Aloe Vera act as an astringent for acne-prone skin, slowing down the production of excess oil in the skin.